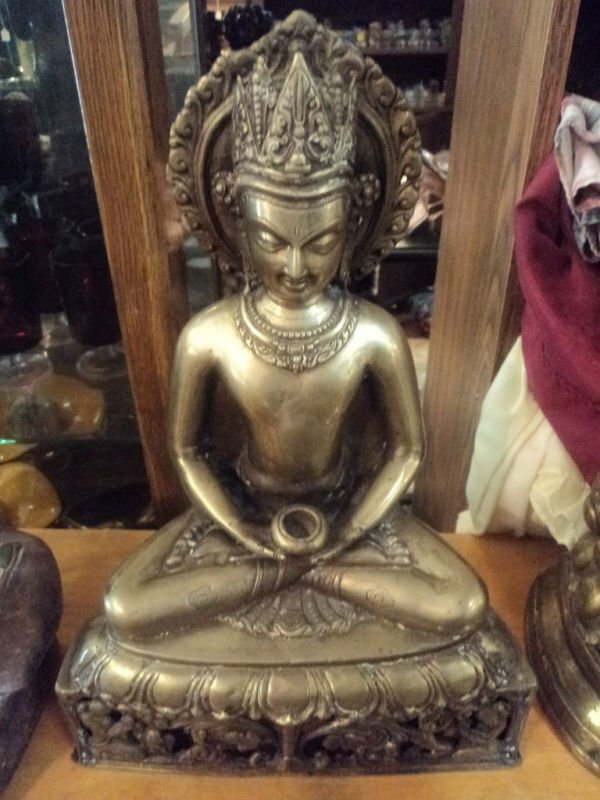 Up for bid is an antique Eastern bronze statue. This item seems Buddist and could be that or Japanese or from India or China or middle eastern. This is authentic and was gotten from an estate of a Professor that collected these for many years.